The high season is now beginning in Halkidiki and since many of our readers are at the moment in Sithonia vacationing, we would like to give some restaurant tips over the next weeks. 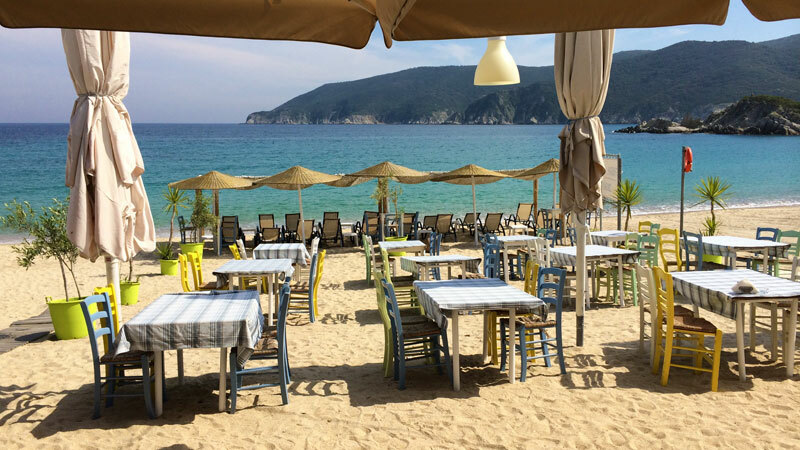 If you are visiting Kalamitsi on the southern tip of Sithonia, we highly recommend trying Zorbas Taverna on the beach. 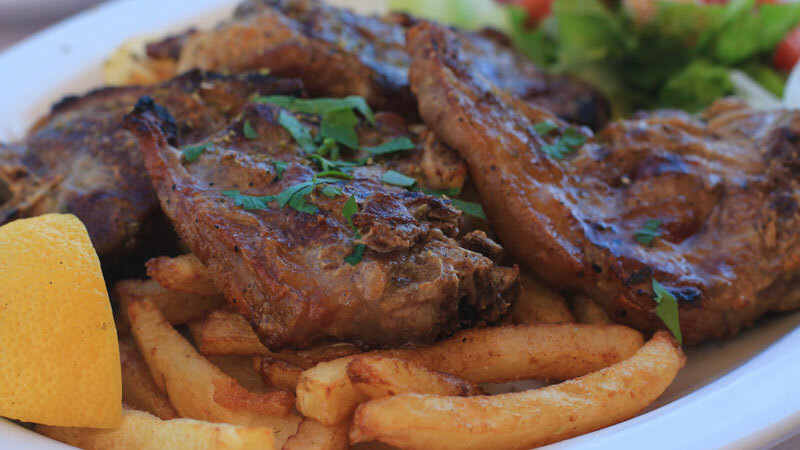 My personal experience, having eaten at many restaurants in Sithonia, is that Yani and his team are able to consistently prepare amazing Greek cuisine. 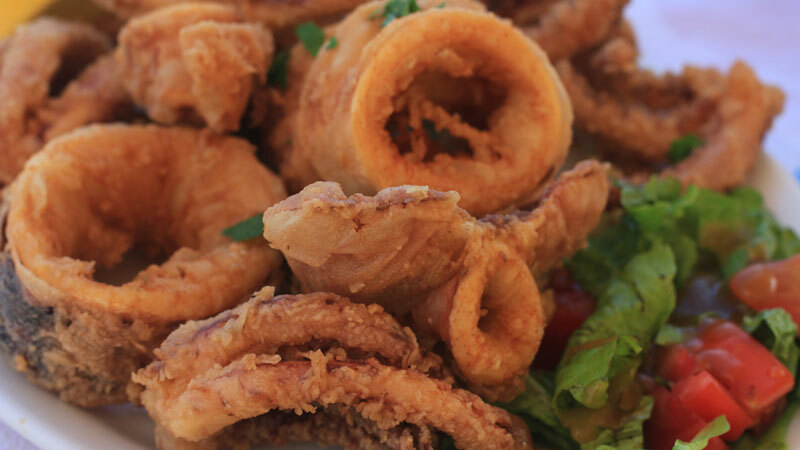 Since calamari is not easy to prepare well, this is one of my criteria for a good Greek taverna – have they have mastered the art of a tender, not over done and dry calamari. Zorbas prepares one of the best if not the best calamari in Sithonia. Moving on to the souvlaki, again not dried out but two large skewers of pork, always tender and juicy as they are grilled to perfection. The same can be said for his lamb chops. What also impresses me about Zorbas Taverna is the size of the portions. You will not walk away hungry! All meals have generous portions so be prepared to want to sleep on the beach after satisfying your hungry cravings. You may also reason that a Greek salad is a just a Greek salad, but at Zorbas it is soooo large that between two persons you will have a hard time to finish everything if both are ordering a meal. Zorbas gets two thumbs up! It is worth the drive just to come for lunch and enjoy the Kalamitsi beach for a day. If you are hungry but not starving, even just a Greek salad with one meal is enough to satisfy two hungry tourists.